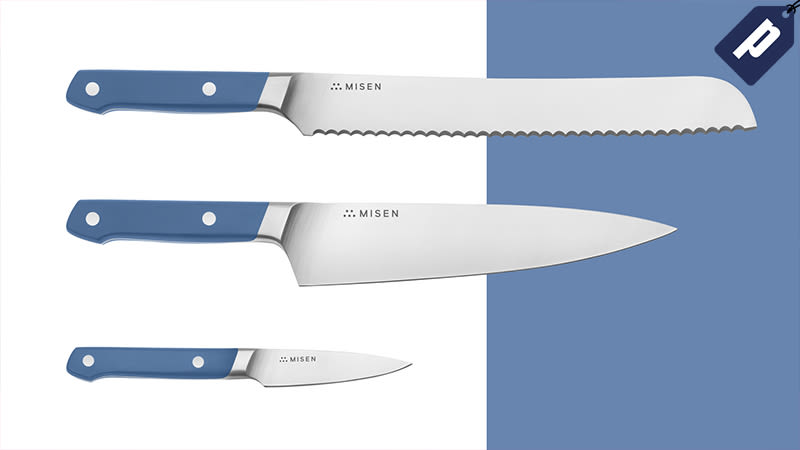 Quality knives are among the most important tools in any kitchen, which is why Misen created a set of three essential knives for everyday cooking. Grab the Essential Knife Set, complete with a chef’s, paring, and serrated knife for $110, a saving of 15% with code GIZMODO15. Each Misen knife is made from AICHI AUS-8 steel, which offers a great balance of sharp edge retention and durability. They incorporate a sloped bolster that travels gradually onto the blade face, providing a comfortable hold for every hand, encouraging a proper “pinch” grip for better control. The set comes complete with the Misen Chef’s Knife, which takes on the curvature of a western blade, with the thinner and lighter weight body of a Japanese knife that supports multiple cutting techniques, whether it’s a slice, rock, or chop. And with the blade at an acute 15 degree angle, it has a noticeably sharper cutting face. Along with the chef’s knife, readers also receive a serrated blade best for cutting through foods with hard or soft exteriors, and a paring knife for small, intricate work. Use code GIZMODO15 to get the set for $110, a savings of 15%.